Do you want to save time with your documentation and data collection? This product is for YOU!! 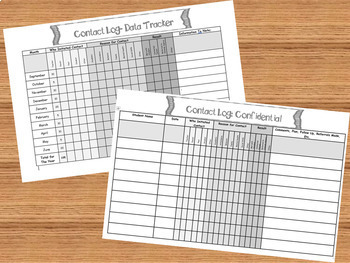 These editable forms will allow you to document and track all your students, the date referred, who initiated the contact (Teacher, Parent, Peer, Student, Other) the reason for the referral (Academic, Attendance, Behavior,Family, Mental Health,Social Skills, Other) and the action taken (Met with Student,Contacted Parent,Referred to Outside Agency, Other). 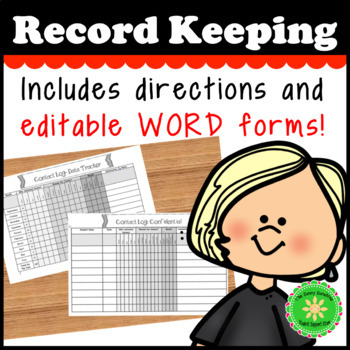 You have permission to create multiple copies for all your students and to modify to fit your needs. Can you say AWESOME?! 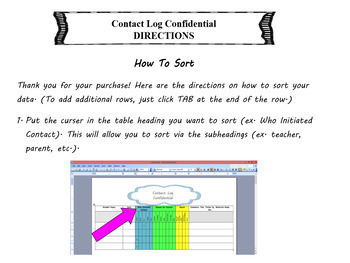 You can chose to use one log for each student OR place all students on the same log. 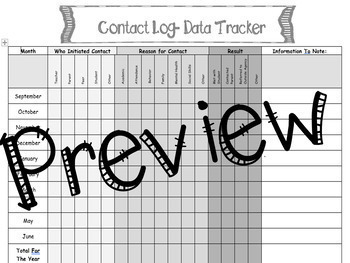 With this contact log you have the option to print and keep in a binder, keep in a student’s folder or use electronically. When used electronically, this form will allow you to sort by all the titles listed, so you can easily see what students are being referred to you, the date, the referral source, the reason and the action taken. This form is written in checklist form to allow even the busiest of providers to document the basics about their students. Also included is a notes section for you to add more information in written style. If this isn't awesome enough, I have also included a form to all you to track all your data for the year on one sheet. If you love this product, please consider leaving some feedback. It's always very much appreciated! By leaving feedback on your purchases, you can build up credits to use towards a discount on future TPT purchases (from any seller on TPT)! If you want to keep up to date with my sales, new resources, freebies and so much more click the green ★ under my store name!